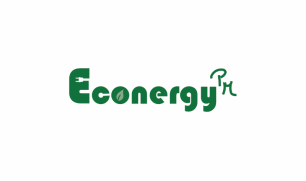 Welcome to EconergyPM - Clean Energy Expertise. We provide lean, flexible and high-quality analytical and advisory services on all aspects of renewable energy and energy efficiency business development, project finance, monitoring & evaluation and training - in Europe, Africa and China. We hope you enjoy exploring our website! Dr.-Ing. Peggy Mischke is the founder and managing director of EconergyPM - Clean Energy Expertise. She successfully planned, enabled and implemented 50+ green energy projects in 15+ countries globally with a focus on Europe, Africa and Asia. She understands the key aspects and challenges in bringing a clean energy project from concept stage to market - and ensure technically sound operation & maintainance. Dr.-Ing. Peggy Mischke facilitated and implemented a renewable energy and energy efficiency portfolio of approx. 1.5 billion US$. She has 15 years of global experience and held team leader and technical positions in the World Bank, the German bilateral collaboration GIZ, the German national research institute Fraunhofer UMSICHT and the Sino-Danish energy collaboration. Her work received several prizes and merit-based scholarships, including the World Bank Africa Region Vice Presidency Award for team leadership in structuring one of the first multi-donor renewable energy scale-up programmes under the Climate Investment Funds. She has published a number of books, academic articles and UN reports with a focus on renewable energies and clean-tech applications in emerging markets. She received 3 engineering degrees from German and Danish technical universities and builds on a solid power system planning and environmental engineering background. Further references are available upon request. Contact us here if you like to discuss a specific project Collaboration!